Thanks Candace for such an informative post! Just yesterday I was reading an article in the latest issue of More magazine entitled :” The hormone hoax thousands fall for” and I could just feel my blood boiling over!!! This is the kind of article that uses a catchy and inflammatory tag line to sell copies of magazines but then goes on to give confusing and contradictory information. 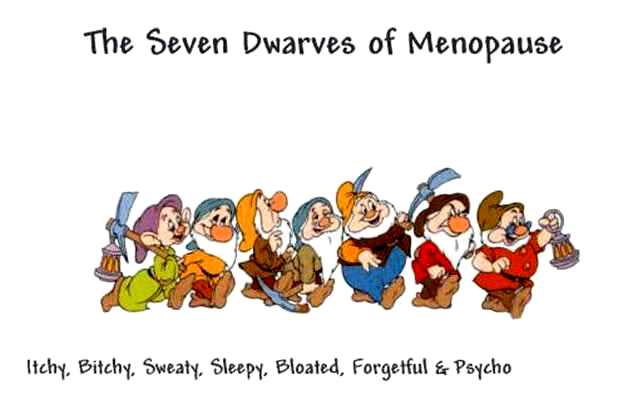 If you are one of the hundreds of thousands of women out there who is struggling with the ‘seven dwarves of menopause and beyond’, these articles are just not very helpful and in fact may be very harmful. I agree with Candace 100%: get your hormones tested using reliable saliva testing: the sooner the better. Hormone imbalances are responsible for most of the symptoms that peri and post-menopausal women experience and it makes simple sense to work with a knowledgeable provider who can help you get back to physiologic balance. Remember we advocate the ‘test and treat’ over the ‘guess and treat’ approach: it is a safer, simpler, and more effective(not to mention faster!) way to help you find relief from those pesky dwarves of menopause.